Women who have abnormal ovulation or irregular periods seem to have a decreased rate of fertility. In fact, about 30-40 percent of all infertility cases are due to female ovulation problems, such as having irregular periods. Women who have periods that are too close together, irregular, or have no periods are usually not ovulating. This is called “anovulation” and can greatly affect fertility. Although a woman can take fertility medications to enhance the rate and frequency of ovulation, there are other conditions that cause irregular periods. You can regulate your periods and have an increased chance of ovulating if you treat an underlying adrenal gland, pituitary gland, or thyroid conditions. All of these conditions have been found to be related to ovulation. If you don’t treat those conditions, you may still not ovulate, even if you are taking a fertility treatment. 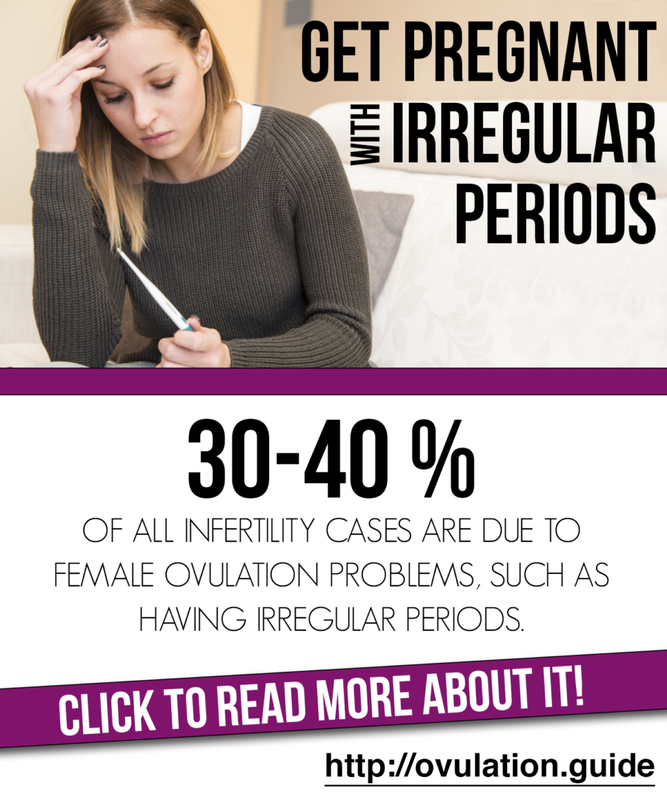 If your doctor has determined that you are infertile because of irregular periods due to an underlying medical condition, the recommended treatment is to take care of the underlying problem. If there is not underlying reason why you aren’t ovulating, the doctor can use drugs that can stimulate ovulation, which will, in turn, regulate your cycles. Clomiphene citrate is marketed as Serophene and Clomid. This drug is often given as a first choice for infertile females because it can cause the release of the egg from the ovaries in a relatively predictable pattern. This will increase your chances of having a more regular cycle by causing ovulation to occur a few days after taking this medication. Clomiphene citrate is an especially effective tool for enhancing ovulation because it doesn’t need to be injected but is instead an oral pill taken in the first few days of the menstrual cycle. In fact, clomiphene citrate can induce ovulation in women suffering from a lack of ovulation, also referred to as “anovulation”. Studies indicate that it works so well that as many as 10 percent of women taking clomiphene citrate for anovulation will have twins or triplets. This compares to a rate of just about 1 percent in women who don’t take ovulation-stimulating drugs. Women who want to improve the regularity of their cycles should consider taking clomiphene citrate at about 50 mg per day starting on the 3rd, 4th, or 5th day after the cycle begins, taking the drug for just five days in a row. If you take this drug correctly, you should ovulate about 7 days after finishing the 5-day course. If this doesn’t bring on regular periods and ovulation, you can increase the dose to 100 mg per day. If this doesn’t bring on ovulation and regular periods, you can take up to 150 milligrams of clomiphene citrate per day for 5 days in a row. Most women will ovulate if they take 150 mg of the drug per day. As mentioned, clomiphene citrate is a first line drug for the treatment of female infertility and irregular cycles. Once you find a dose that works for you and that consistently brings about ovulation, you need to take it for three to six months before giving up and trying some other fertility-enhancing treatment. Other fertility treatments include drugs that cause the release of many eggs per cycle instead of just one egg. Some fertility drugs will be good at stimulating ovulation but will make the cervical mucus unable to allow for the passage of sperm during conception. In such cases, the fertility drug is combined with IUI, which is also called intrauterine insemination. Intrauterine insemination involves injecting washed sperm directly into the prepared uterus. This bypasses the hostile cervical mucus and allows the washed sperm to travel through the uterus and into the fallopian tubes, where fertilization can happen. 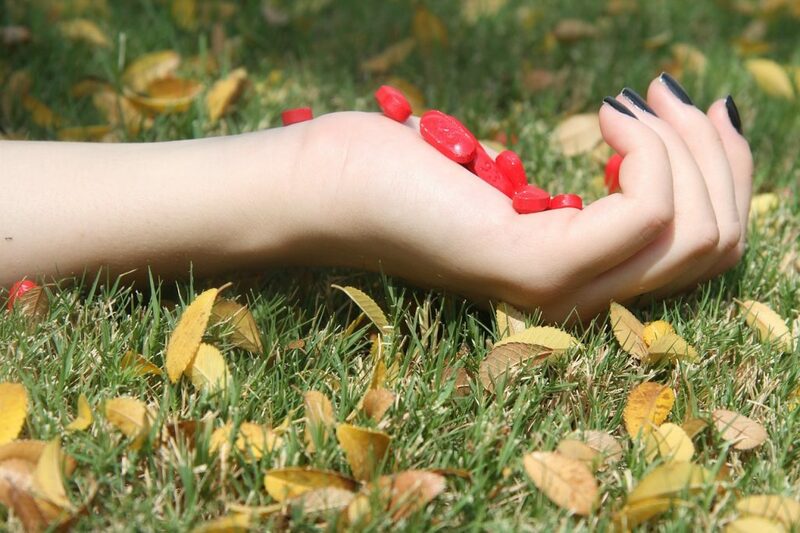 There are other drugs you can take that will enhance fertility and regulate your cycles. These include Gonal-F and other types of injected hormonal treatments that stimulate the ovaries to make egg-containing follicles and allow the eggs to be released from the follicles once they mature. Such drugs are known as “super-ovulation” drugs. They are injected subcutaneously (just beneath the skin) and will help regulate the cycles. The downside of taking these types of drugs is that they can cause too many eggs to be released, leading to a multiple gestation pregnancy and to symptoms, such as abdominal discomfort and bloating. Overstimulation of the ovulatory process can be dangerous and can result in symptoms that might cause you to be hospitalized or can mean that you need to have regular blood testing, particularly of the hormone levels in the body. About ninety percent of women will have a regular cycle and will ovulate when taking these drugs, although only 20-60 percent will become pregnant per cycle. This is an extremely common problem that results in an irregular period that ultimately affect fertility. About 5-10 percent of women will have polycystic ovarian syndrome at some point in their reproductive years. PCOS will cause irregular periods by causing a hormonal imbalance that interferes with ovarian function. The ovaries will develop multiple cysts that won’t mature and won’t release an egg. If you suffer from PCOS, you will have irregular periods that will make it difficult to conceive a child. The good news is that a mild to moderate loss of weight can effectively treat the PCOS, increasing your chances of having regular, ovulatory cycles. Some women have gotten better by taking medications that directly address the insulin resistance. Glucophage (metformin) is one such medication; it is often given to women with PCOS to enhance fertility and reduce blood sugar levels. In reducing blood sugar levels, it can also help prevent full-blown diabetes and the complications of diabetes, including kidney, nerve, and eye damage. While there is no cure for PCOS, there are treatments, such as those just prescribed, that will increase the regularity of the cycles, control the symptoms of PCOS, and increase the chances of having a pregnancy. Some women with PCOS resort to in vitro fertilization in order to effectively achieve a pregnancy. This can be a never-ending cycle. Men and women under stress will have problems achieving a pregnancy and will be under greater stress because of infertility. This sets up a cycle of stress and infertility that can interfere with getting pregnant. Women who are under stress will have irregular cycles and won’t always ovulate each cycle. This is because stress can affect the regularity of the female hormones so that ovulation comes at a later time than normal or doesn’t happen at all. The trick is to reduce stress so that ovulation can be achieved and the chances of getting pregnant are better. Trying to get pregnant with irregular periods. http://www.whattoexpect.com/blogs/librarianmommyreferencebookonparenting/trying-to-get-pregnant-with-irregular-periods. Accessed 6/6/16. Irregular Periods and Getting Pregnant. http://www.webmd.com/infertility-and-reproduction/irregular-periods-and-getting-pregnant. Accessed 6/6/16.